RANGERS slipped to just their second defeat in ten Sky Championship fixtures on a disappointing afternoon at Loftus Road. Steve McClaren’s charges were ultimately made to pay for a sluggish start – 2-0 down after Hull City strikes from the impressive Jarrod Bowen (six minutes) and Markus Henriksen (22). Pawel Wszolek’s 24th-minute effort threatened yet another R’s comeback following the recent draws at Stoke City and Rotherham United. But the visitors had other ideas, with Bowen’s second goal and City’s third in the 69th minute decisive. Luke Freeman was on target in the 92nd minute for the Hoops – but that proved to be no more than a consolation effort in W12. After earning a hard-fought point against Rotherham in midweek, QPR boss McClaren named an unchanged starting XI for the visit of Hull. 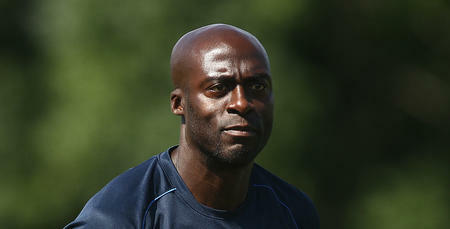 The Tigers held Championship leaders Norwich to a goalless draw on Tuesday evening. That meant Rangers – setting up in a 4-4-1-1 formation – lined up as: Joe Lumley; Angel Rangel, Toni Leistner (captain), Joel Lynch, Jake Bidwell; Wszolek, Geoff Cameron, Massimo Luongo, Freeman; Ebere Eze; Nahki Wells. Visitors Hull made a speedy start, taking the lead after only six minutes thanks to Bowen’s fine effort. The Tigers winger took control of Fraizer Campbell’s cushioned ball into him, then unleashed a fierce low attempt which darted past Lumley and in. An early blow for the R’s, but the hosts were almost on terms just two minutes later – Luongo seeing his 16-yard blast deflect marginally over. 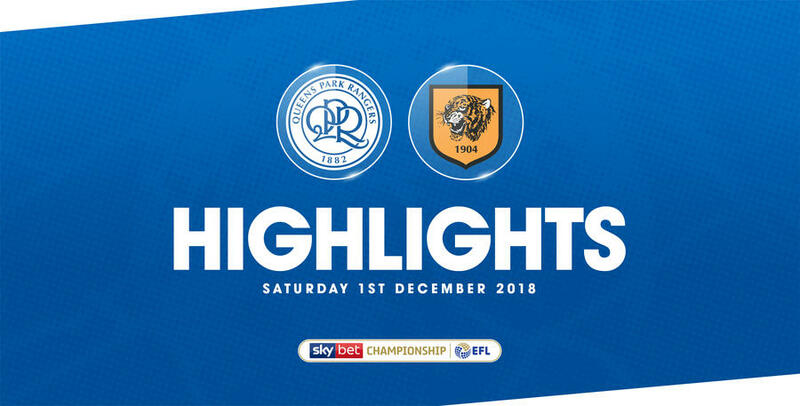 A bit of a scrappy affair ensued for a period thereafter, before Hull silenced the Loftus Road faithful with a second goal on 22 minutes. Bowen turned provider, with his inswinging right-wing corner deftly flicked home by the head of Henriksen. Rangers now had it all to do – but Wszolek’s strike only two minutes later gave McClaren’s men momentum, as well as a route back into the game. Rangel’s low ball in from the right freed the Pole in the area, who kept his cool to slot the ball under visiting goalkeeper David Marshall. Bar Jackson Irvine spurning a guilt-edged chance for Hull in the 29th minute – heading over after Kamil Grosicki’s hanging centre found the Aussie international unmarked in the box – the remainder of the first half was firmly one-way traffic. Marshall pulled off excellent reaction saves to deny Wells in minutes 25 and 32, while Rangel struck the upright with an outrageous distance shot in the 33rd minute. 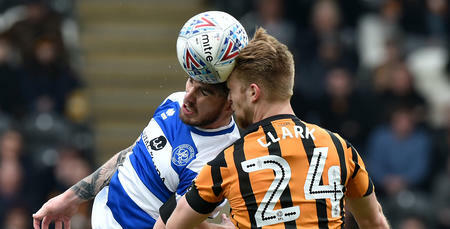 Hull ‘keeper Marshall also produced a fantastic flying stop to thwart Lynch eight minutes from half-time, after the R's defender rose to meet Freeman’s left-wing corner kick. The start to the second period was a little untidy, though Rangers continued to apply pressure in search of an equaliser. In truth, Hull did a good job of frustrating their hosts up until the hour mark, with Freeman’s 20-yard attempt, which sailed over, QPR’s only real effort of note for the first 15 minutes following half-time. That prompted McClaren into making an attacking first R’s change in the 63rd minute, as Cameron made way for Tomer Hemed. But Rangers were left with a mountain to climb when they conceded a third goal in the 69th minute. Grosicki’s low defence-splitting pass put Bowen in the clear, who poked home at the second attempt for Hull after his initial effort was repelled by Lumley. QPR were left stunned and just moments later, only a smart, low Lumley save denied Irvine from adding a fourth for the visitors. Rangers responded by bringing on Matt Smith in the place of Rangel, with the former side-footing over from 12 yards in the 76th minute. But not even his and Bright Osayi-Samuel’s subsequent introduction could save the R’s from defeat – despite the home side adding a second during four minutes of second-half stoppage time. Freeman slid home on the goal-line after sub Smith headed down a right-flank Osayi-Samuel centre, though Rangers ran out of time to add a third goal. 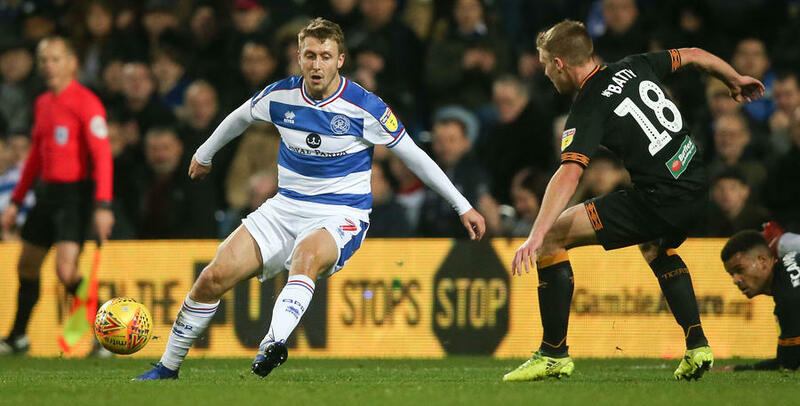 WATCH highlights from QPR's 3-2 defeat against Hull City on Saturday afternoon at Loftus Road. 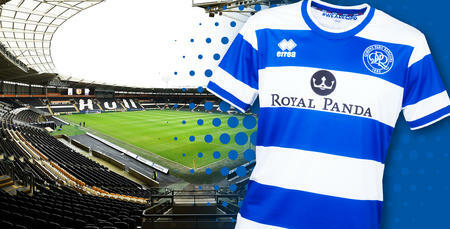 Hull City v QPR – One Hull’Uva Deal!